pronounced fǎ in Mandarin, beop in Korean, hō in Japanese, and pháp in Vietnamese. However, the term dharma can also be transliterated from its original form. The status of Dharma is regarded variably by different Buddhist traditions. Some regard it as an ultimate truth, or as the fount of all things which lies beyond the "three realms" (Sanskrit: tridhatu) and the "wheel of becoming" (Sanskrit: bhavacakra), somewhat like the pagan Greek and Christian logos: this is known as Dharmakaya (Sanskrit). Others, who regard the Buddha as simply an enlightened human being, see the Dharma as the essence of the "84,000 different aspects of the teaching" (Tibetan: chos-sgo brgyad-khri bzhi strong) that the Buddha gave to various types of people, based upon their individual propensities and capabilities. Dharma refers not only to the sayings of the Buddha, but also to the later traditions of interpretation and addition that the various schools of Buddhism have developed to help explain and to expand upon the Buddha's teachings. For others still, they see the Dharma as referring to the "truth," or the ultimate reality of "the way that things really are" (Tib. Cho). Other uses include dharma, normally spelled with a small "d" (to differentiate), which refers to a phenomenon or constituent factor of human experience. This was gradually expanded into a classification of constituents of the entire material and mental world. Rejecting the substantial existence of permanent entities which are qualified by possibly changing qualities, Buddhist Abhidharma philosophers enumerated lists of dharmas which varied by school. They came to propound that these "constituent factors" are the only type of entity that truly exists (and only some thinkers gave dharmas this kind of existence). This notion is of particular importance for the analysis of human experience: Rather than assuming that mental states inhere in a cognizing subject, or a soul-substance, Buddhist philosophers largely propose that mental states alone exist as "momentary elements of consciousness" and that a subjective perceiver is assumed. One of the central tenets of Buddhism, is the denial of a separate permanent "I", and is outlined in the three marks of existence. At the heart of Buddhism is the understanding of all phenomena as dependently originated. Later, Buddhist philosophers like Nāgārjuna would question whether the dharmas (momentary elements of consciousness) truly have a separate existence of their own. According to S. N. Goenka, the original meaning of dhamma is "dharayati iti dharmaH", or "one that contains, supports or upholds" and dharma in the Buddhist scriptures has a variety of meanings, including "phenomenon" and "nature" or "characteristic". Dharma also means "mental contents," and is paired with citta, which means heart-mind. The pairing is paralleled with the combining of shareera (body) and vedana (feelings or sensations which arise within the body but are experienced through the mind) in major sutras such as the Mahasatipatthana sutra. Dharma is employed in Ch'an in a specific context in relation to transmission of authentic doctrine, understanding and bodhi; recognized in Dharma transmission. In Jainism dharma refers to the teachings of the Jinas In Jainism, dharma is natural. Acharya Samantabhadra writes, Vatthu sahavo dhammo: "the dharma is the nature of an object". It is the nature of the soul to be free, thus for the soul, the dharma is paralaukika, beyond worldly. However the nature of the body is to seek self-preservation and be engaged in pleasures. Thus there are two dharmas. Because of the difference in practice, dharma is of two kinds, for the householders and for the monks. Of the householder's dharma, there are two kinds, "ordinary" and "special"
The ordinary dharma of the householder should be carried out according to tradition, such that it is not objectionable, according to ones abilities such as wealth, in accordance with nyaya (everyone treated fairly and according to laws). A householder follows both laukika and the paralaukika dharmas at the same time. 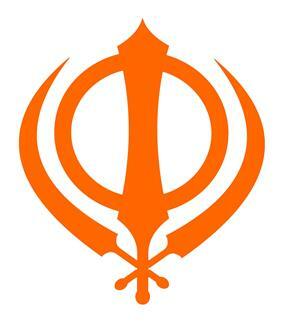 For Sikhs, the word Dharm means the "path of righteousness" and proper religious practice. Sikh Dharma is a distinct religion revealed through the teachings of ten Gurus who are accepted by the followers as if they were spiritually the same. In Sikhism, God is described as both Nirgun (transcendent) and Sargun (immanent). Guru Granth Sahib in hymn 1353 connotes dharma as duty. The 3HO movement in Western culture, affiliated to Sikhism, defines Sikh Dharma broadly as all that that constitutes religion, moral duty and way of life. Dharma administered by God: The scriptures further outline how the "Judge of Dharma" administers justice depending on the way that one has conducted life on Earth. The soul is either "cleared" or "subject to God's command" depending on the review of the person history. The holy text says: "The Righteous Judge of Dharma, by the Hukam of God's Command, sits and administers True Justice". and those followers who "chant the name of the Lord" are cleared as outlined thus: "Her account is cleared by the Righteous Judge of Dharma, when she chants the Name of the Lord, Har, Har." 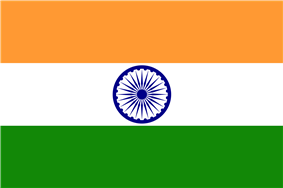 The wheel in the center of India’s flag symbolizes Dharma. The importance of Dharma to Indian sentiments is illustrated by India’s decision in 1947 to include the symbol of wheel of dharma, the dharma-cakra, as the central motif on its flag. ^ a b c The Oxford Dictionary of World Religions: "In Hinduism, dharma is a fundamental concept, referring to the order and custom which make life and a universe possible, and thus to the behaviours appropriate to the maintenance of that order." ^ David Kalupahana: "The old Indian term dharma was retained by the Buddha to refer to phenomena or things. However, he was always careful to define this dharma as "dependently arisen phenomena" (paticca-samuppanna-dhamma) ... In order to distinguish this notion of dhamma from the Indian conception where the term dharma meant reality (atman), in an ontological sense, the Buddha utilized the conception of result or consequence or fruit (attha, Sk. artha) to bring out the pragmatic meaning of dhamma." ^ a b Monier Williams, A Sanskrit Dictionary (1899): "to hold , bear (also bring forth) , carry , maintain , preserve, keep , possess , have , use , employ , practise , undergo"
^ Gavin Flood (1994), Hinduism, in Jean Holm, John Bowker (Editors) - Rites of Passage, ISBN 1-85567-102-6, Chapter 3; Quote - "Rites of passage are dharma in action. "; "Rites of passage, a category of rituals,..."
^ Harold Coward (2004), Hindu bioethics for the twenty-first century, JAMA: The Journal of the American Medical Association, 291(22), pp 2759-2760; Quote - "Hindu stages of life approach (ashrama dharma)..."
^ Brereton, Joel P. (2004). "Dhárman in the Ṛgveda". Journal of Indian Philosophy 32: 449–89. ^ Dhand, Arti (Fall 2002). "The Dharma of Ethics, the Ethics of Dharma : Quizzing the Ideals of Hinduism". Journal Of Religious Ethics 30 (3): 351. ^ Day 1982, p. 42-44. ^ "Sri Guru Granth Sahib". Sri Granth. Retrieved 2012-08-14. ^ Guru Granth Sahib Japji page 8, Salok. Olivelle, Patrick (2009). Dharma: Studies in Its Semantic, Cultural and Religious History. Delhi: MLBD.